Kathleen Kennedy confirms Old Republic movie will be made!! GUYS… GUYS THIS IS HUGEEEEE NEWS! For the longest time, I have been waiting for this to happen. As some of you may know, I was a very dedicated SWTOR player and only stopped playing it last year. Well, I’ve actually just resubbed again because this news has really got me so happy! This is like a dream come true – I can’t believe they’re going to finally be making a movie set in the Old Republic timeline! COULD WE REALLY GET A DARTH REVAN STORYLINE??? OR EVEN DARTH MALGUS OR MALAK?? Or maybe a Satele Shan story about how she became a Jedi Master? 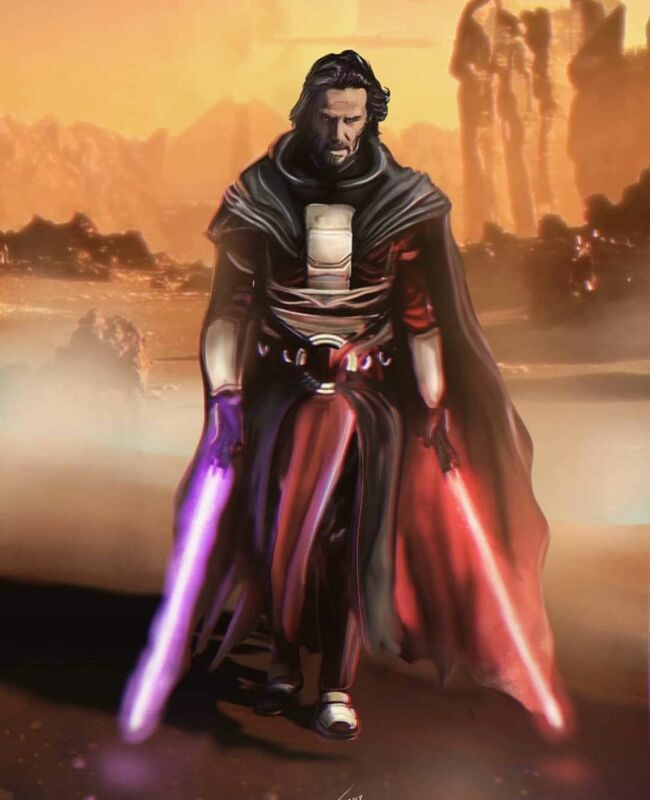 There are so many great characters from this timeline… but my biggest hope is that they cast Keanu Reeves as Darth Revan – like, how cool would that be??? What do you think about this news? It’s incredible, right? Star Wars Edits – KYLO REN FIRST ORDER PART 2 AND EPISODE IX OMG!!! Okay, now that I’ve calmed down a little over the SWCC stuff I found about today (the leaked mural, the mural is finished, yet another Episode IX rumoured title etc), I am now sitting at my desk as jittery as a bug because OMGGGGGGGG in EIGHT and a half hours (ish) THE EPISODE IX PANEL WILL BE STARTING…. So the news about Star Wars – Jedi Fallen Order, the new game coming out this year is doing the rounds on social media so I thought I’d jump on the hype train and contribute an edit. The original image is from Carl Milner’s blog with animation by me, what do you think?